¡Papa a la Huancaína Burger! The Burger: ¡Papa a la Huancaína Burger! 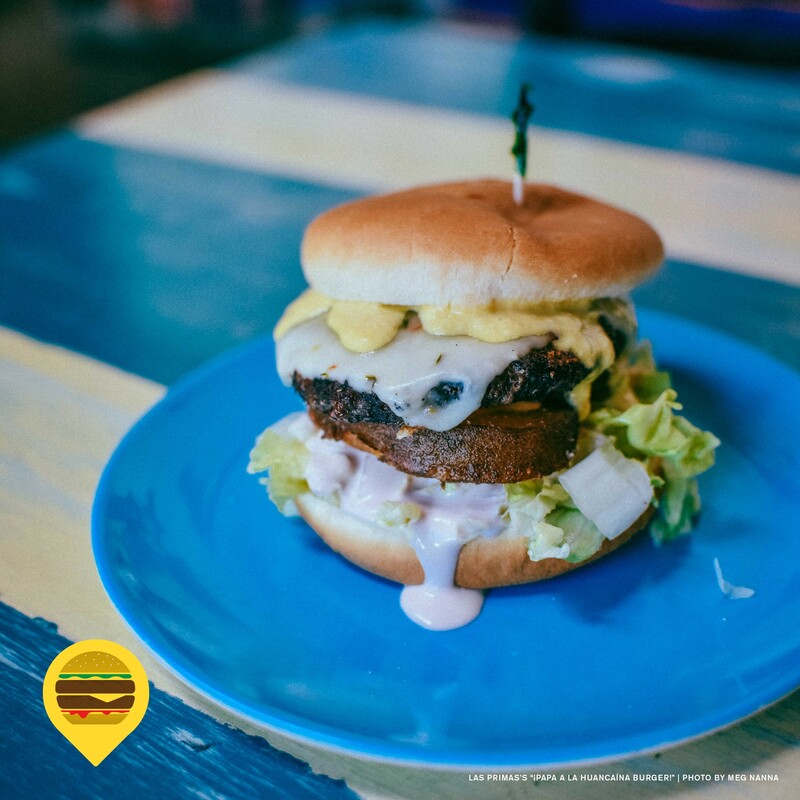 What's On It: Our Peruvian-seasoned quarter-pound beef patty is grilled to perfection and topped with lettuce, fried potato, and pepperjack cheese, then slathered in huancaína (a creamy chili pepper and cheese sauce) and finished off with a botija spread. What They Say: "What could possibly be better than the typical and beloved Peruvian dish Papa a la Huancaína? Umm.. a Papa a la Huancaína Burger, that's what! But you don't have to take our word for it. Come try it yourself! Pair it with our famous shoestring fries or a cold Peruvian lager to make it next level. No modifications, please." The Fine Print: Take-out orders allowed in person, but no phone orders.